Explore playing acoustic instruments with field recordings of urban and natural landscapes. What sounds work well together to form a cohesive sound world? Journey outside to capture the sounds of the local environment and create an audio work. 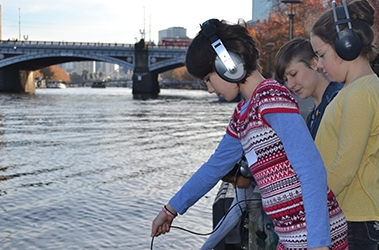 Hear your work up on the Signal sound walk at Northbank at the end of the session! No experience necessary.